The Ambient Recording LTC-IN Lockit Timecode Input Cable is an input connector for the Lockit ACL 204 TC-Generator / Trilevel-Sync and ACN-TL Tiny Lockit. This compact, portable device is designed for syncing audio recorders on the go. The input cable is a BNC 90° to 5-pin Lemo connector approximately 15.75" (40 cm) in length. Box Dimensions (LxWxH) 4.0 x 3.3 x 0.5"
Will this cable work to connect an Ambient NanoLockit with the TC (IN) port on an FS-7 that is equipped with the Sony XDCA-FS7 extension unit? 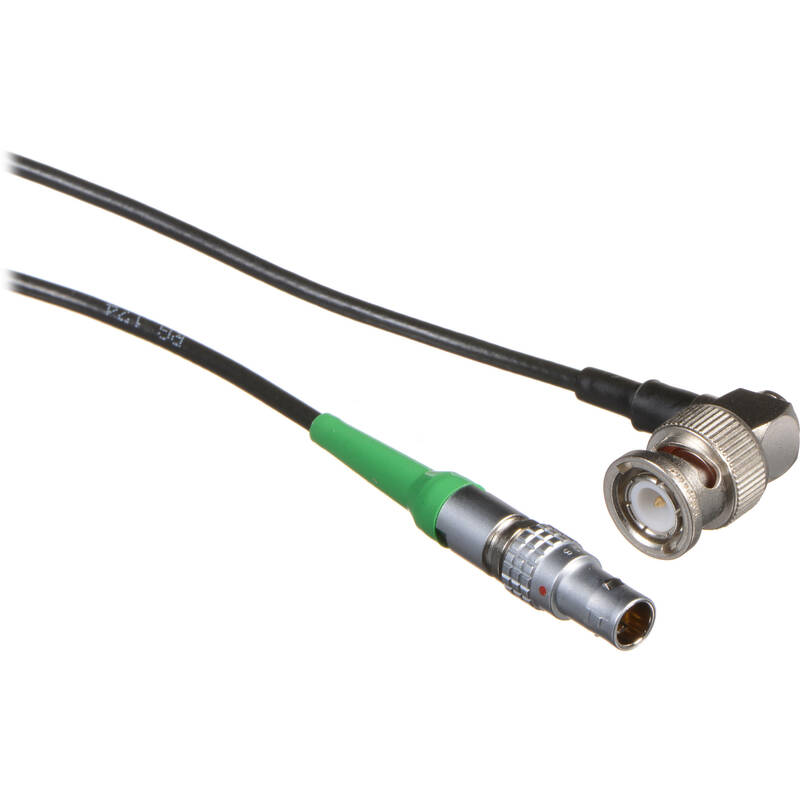 The Ambient Recording LTC-IN cable will connect to the BNC TC input of your Sony XDCA-FS7. Is this the cable to connect the Ambient Nanolockit to the timecode for the Tascam DR-701D 6-Track Field Recorder for DSLR with SMPTE Timecode? I don't know but for me I needed the LTC-OUT Lockit Timecode Cable. The LTC-IN Lockit Timecode Cable did not work because the nanolockit is the time code generator. Therefore, the time code needs to leave the nanolockit to your device. Example for me. Nanolockit to URSA Mini pro 4.6k. Nanolockit to Sound Device Recorder Nanolockit to slate Nanolockets are the easy to use and sync devices to. There expensive but so worth it. I have three of them. There are times that we sync two URSA. I was confused at first to which cable to purchase. Just make sure the cable is for the Ambient Specifically.